The all-inclusive average Super Bowl viewership was about five percent lower than last year. 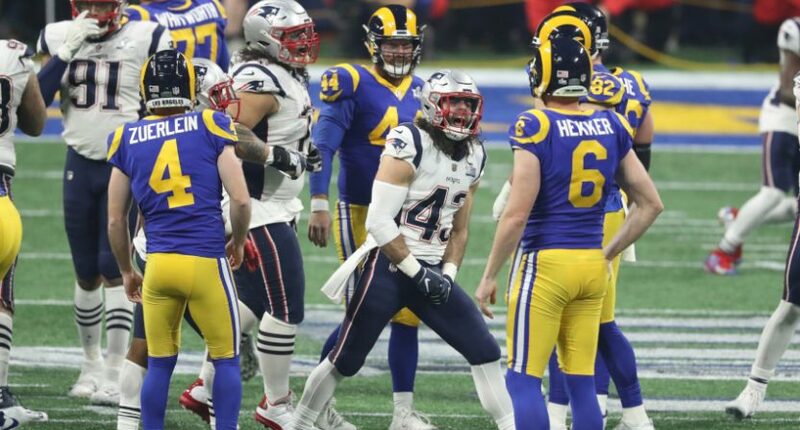 The CBS Television Network’s coverage of Super Bowl LIII featuring the New England Patriots and the Los Angeles Rams on Sunday, Feb. 3 (6:32-10:05 PM, ET) posted a Total Audience Delivery of 100.7 million viewers, across all platforms including CBS Television Network, CBS Interactive, NFL digital properties, Verizon Media mobile properties and ESPN Deportes television and digital properties. Super Bowl LIII was watched on CBS in all-or-part* by 149.0 million (Persons 2+) viewers on an all-or-part basis according to Nielsen’s Fast Total Audience Estimates. So, that would make this a drop of about five percent from last year’s all-inclusive numbers. And it’s odd to see regular season ratings up by that much, but Super Bowl ratings down by that much. Of course, there was some streaming success here for CBS. And there was some CBS All Access success; it “surpassed prior single-day records by +84% in subscriber sign-ups, +46% in unique viewers, and +76% in time spent on CBS All Access across all content and digital platforms.” Maybe some of those new subscribers will stick around past the free trial period, and at any rate, it’s useful for CBS to have an opportunity to promote their extra pay service and get some new sign-ups for it. But overall, this wasn’t a great number for CBS or the NFL. That’s not necessarily indicative of anything going forward for the NFL. A lot of this was likely about the low-scoring game, which had the lowest-scoring first half (3-0) in a Super Bowl since 1975 and the lowest final score in Super Bowl history. And it’s possible that the general ratings rebounds this year will return next regular season and next Super Bowl. But these ratings certainly validated advertisers’ skepticism; CBS’ ad prices (estimated at $5.1 to $5.3 million for a 30-second slot last week) were about flat versus last year, the first time Super Bowl ad prices stayed flat year-over-year since 2010 (after that low-rated 2009 Super Bowl), and even at those prices, CBS ran an awful lot of in-house ads (33 versus 19 by NBC last year, a 74 percent increase). We’ll see how the ratings do next year, and how the advertisers feel about Super Bowl LIV, but this definitely wasn’t a great moment for the NFL on the audience side.